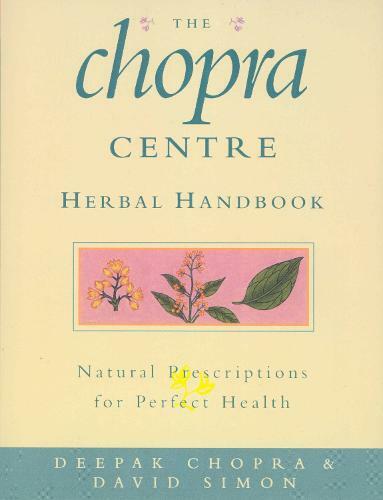 In The Chopra Centre Herbal Handbook, Dr Deepak Chopra and Dr David Simon draw on the forty most important herbs used in Ayurveda, from aloe and amrit kalash to ginger and winter cherry, to create a practical, popular reference book that shows how to, for example, strengthen immunity, rejuvenate the body, boost energy and detoxify the system. Each listing explains the specific ailments which that herb can remedy, as well as instructions on how to use it, precautions, scientific research and botanical information. Health problems which are addressed include digestive disorders, those of the mind and emotions, women's and men's health issues, metabolism, pain, arthritis and inflammation, circulation and many more.